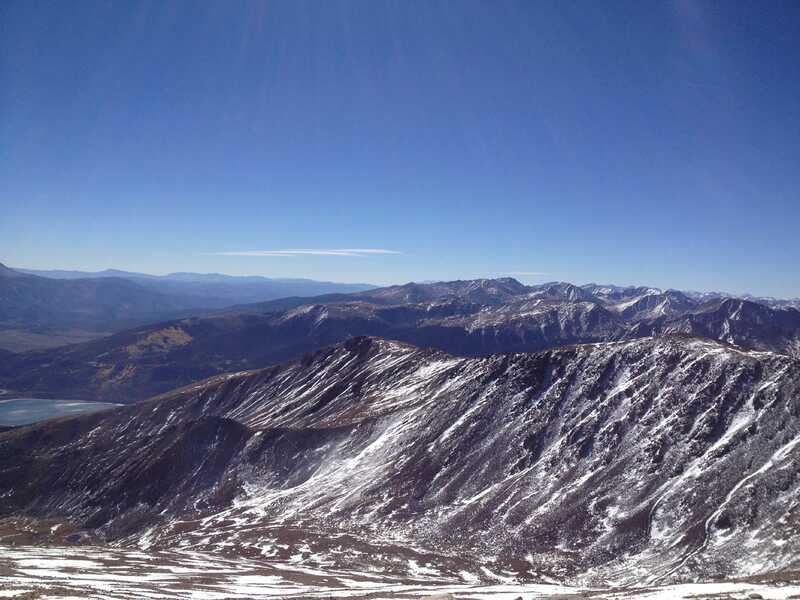 Mount Elbert, which is the tallest mountain in all of Colorado and the second-tallest in the lower 48 U.S. states (behind only Mount Whitney in California), has a number of routes up the summit. 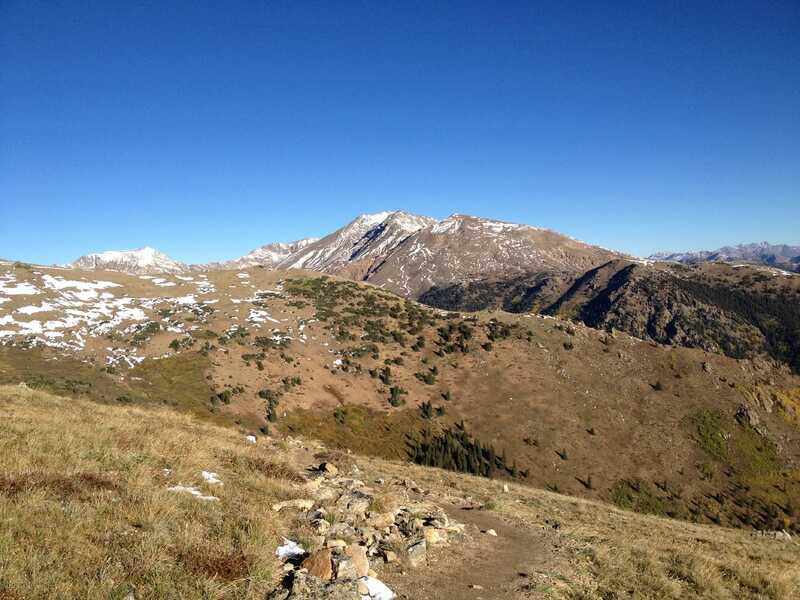 The “standard” route is often considered to be the Northeast Ridge route, which is less than 5 miles each way, but gains nearly 5,000 feet of elevation. 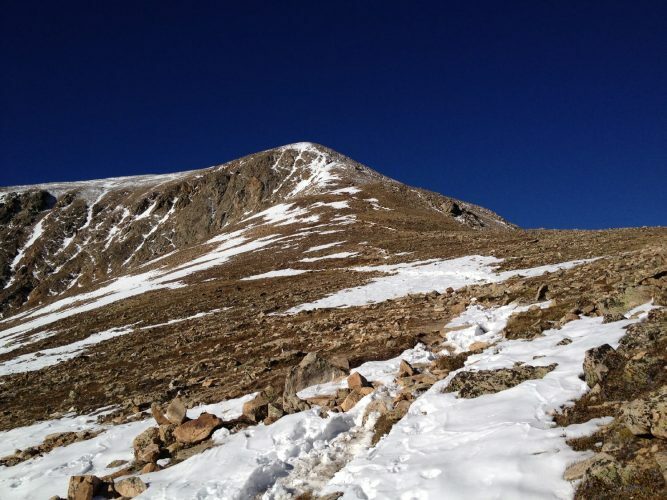 The trailhead for the Northeast Ridge Route on Mount Elbert is located less than a half of a mile from the Mount Massive trailhead. To get to the trailhead, take U.S. 24 to Colorado 300. Head west on CO 300 (cross the railroad tracks) and turn left onto Lake County Road 11 in about 0.7 miles. Take Lake County Road 11 approximately 1.2 miles and turn right to head up to the Halfmoon Creek Campground. Take this road approximately 5 miles – the vast majority of it is dirt road – to the North Elbert trailhead on your left. 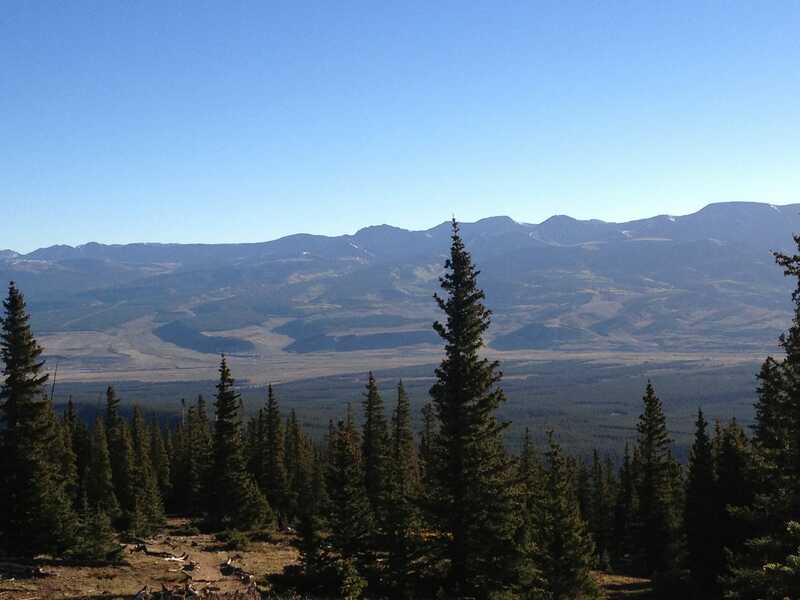 Starting at the trailhead, which is at about 10,040 feet, head into the forest on the Mount Elbert Trail and continue left at the Colorado Trail junction after only maybe 500 feet. Cross a stream shortly thereafter and continue up through the forested trail. 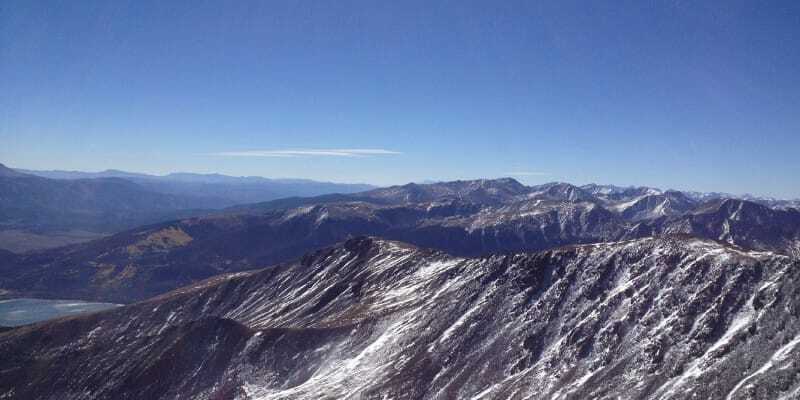 This will take you to an important junction at approximately 10,560 feet. 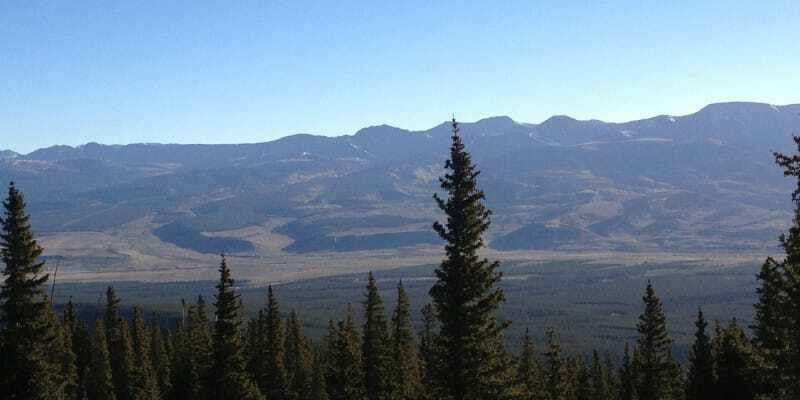 This is where the North Mount Elbert Trail meets the Colorado Trail. Going left at this junction would take you on the Colorado Trail. Instead, turn right at the junction and continue to follow the North Mt. Elbert Trail up toward tree line. After turning right at the junction, take the North Mt. Elbert trail approximately 1.5 miles and gain nearly 1,400 feet of elevation to reach the tree line between 11,900 ft. and 12,000 ft. Once above tree line, the trail is mostly a series of switchbacks that take you up to what will most likely be the most challenging section as the summit of Mount Elbert is now hidden from view. These mostly gentle switchbacks last from about 12,000 ft. to about 13,400 ft. The steepest – and possibly the most challenging – portion of the Northeast Ridge Route is the ensuing section of talus that will bring you up near the 14,000-ft. mark. This scree-filled section occurs between about 13,400 ft. and 13,900 ft. Head up the rougher talus at 13,400 ft. and follow the trail up and around to the right until you reach a flatter section about 500 feet higher. Hike up the remaining 500 hundred feet of relatively easy trail (and most likely a little bit of wind) to the summit. The summit ridge finally comes into view at about 14,300 ft., leaving a very short hike to the summit. 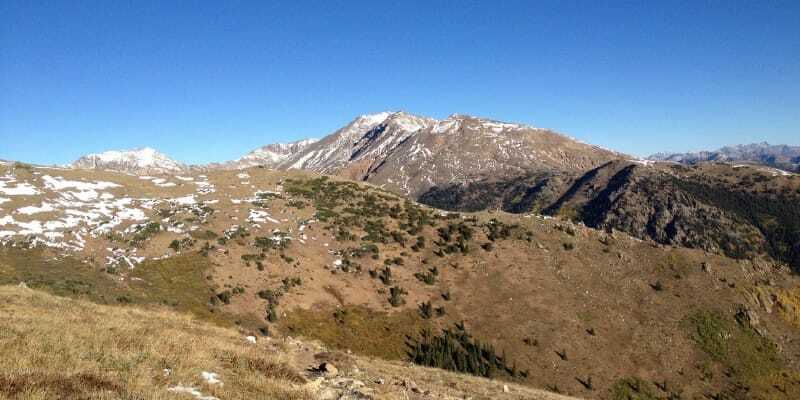 Take in views of Mount Massive and other neighboring peaks before returning on the descent.